German/American metallers ACCEPT are continuing work on their new album with British producer Andy Sneap for a tentative summer 2017 release via Nuclear Blast. Guitarist Wolf Hoffmann told Metal Shock Finland's Alison Booth about the progress of the disc's recording sessions: "This is the fourth time in a row with the same producer. It's a world record for ACCEPT, for sure. We have no reason to even think about [using] anybody else, because every time [Andy and we] work together, it turns out fantastic. We love what the final result is and we have a great working relationship, so why change it if it works, right?" Asked about the musical direction of the new ACCEPT material, Wolf said: "There's not a whole lot to say quite yet, because we're in the middle of it. The only thing I can tell you is that it feels as ACCEPT as ever. It feels maybe a slightly bit heavier for now, but, you know, these things are always hard to say while you're in the middle of it. You never really know until after the album's been released and a little time went by; then you can have an objective idea about the album." He continued: "Man, it's gonna sound like ACCEPT as always. There's not gonna be any weird surprises — we're not gonna go soft, we're not gonna go jazz, there's no left or right [turns musically]. We're really just trying to get better at what we already do." Hoffmann also talked about a possible release date for the new ACCEPT effort. "We're trying our best to get it done in time for next year, July or August release," he said. "The idea is we're gonna finish this three-month run with SABATON [in Europe] and then jump right back into the studio, finish the stuff. We've got a bunch of basic tracks done, a lot of vocals are done, so we're looking pretty good at this point." ACCEPT vocalist Mark Tornillo echoed Hoffmann's comments while discussing the band's songwriting approach in a 2014 interview. He said: "We're not searching for a direction at this point. We're writing to please ourselves and to please our fans… We're not changing horses in the middle of a stream. I mean, if something works for us, we're gonna stick with it. We're certainly not gonna change direction, but I think we're not afraid to step out a little bit. We're also not afraid to go back and be what the band was in the '80s, which is what we've really strived for." 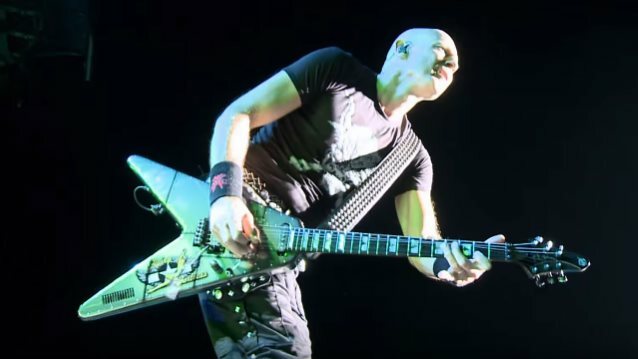 Asked why it's so important for ACCEPT to still make new music after all this time, Wolf told Canadian rock journalist Mitch Lafon: "For us, it was very important, especially since we got [singer] Mark [Tornillo], and when we had our reunion with Mark, the new singer, we really wanted to show to the fans and to us that we still can write relevant new songs, and so that's why we really did three albums in five or six years — really banged them out, one after the other. And those three albums are, in a lot of fans' views, as strong as most of the stuff we've done in the eighties, if not stronger. So I think it's very important for us to come up with new songs, 'cause, you know, once you stop trying, or you're just living on the past, I think that's no good. We're trying to stay relevant, and the fans really appreciate that." 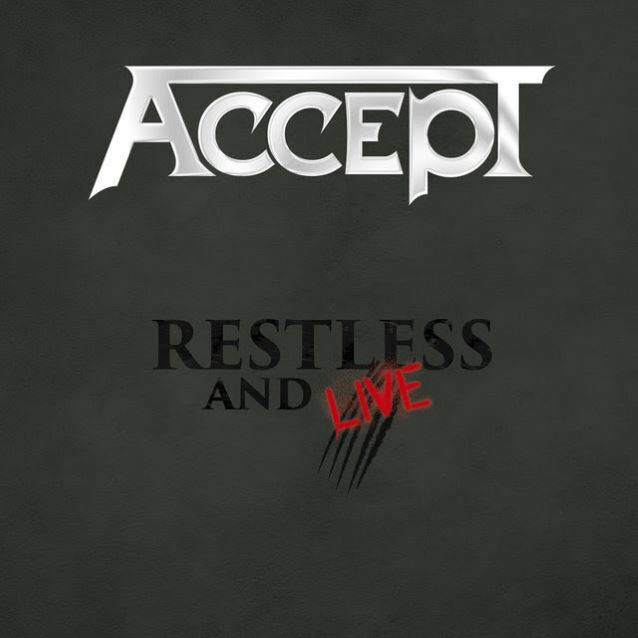 ACCEPT will release a new live set titled "Restless And Live" on January 13, 2017 via Nuclear Blast. This package will include the entire show ACCEPT played at 2015's Bang Your Head!!! festival in Balingen, Germany on Blu-ray/DVD plus two CDs.